Following a significant demand for tickets - underlining the local audience's keen interest in Andrew Lloyd Webber's acclaimed musical - Teatru Astra has just announced an extra show on Friday 29 March 2019 at 20:00hrs. This musical is the fourth consecutive one at Teatru Astra, following the impeccable productions of Grease, Evita and last year's Jesus Christ Superstar. A line-up featuring the best local talent, is fronting this production. 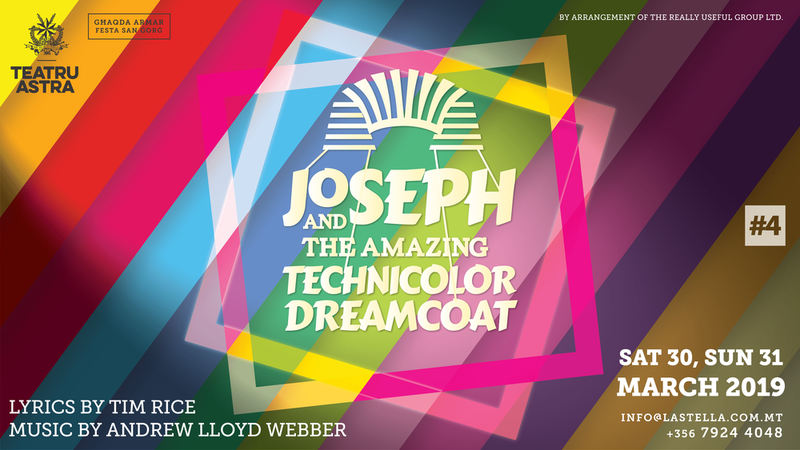 London trained performer Thomas Camilleri will play the main role of Joseph, Chantelle Micallef Grimaud is the Narrator while Chris Dingli will be returning to Teatru Astra following last year's success, in the role of Pharaoh.